"With so much more to play for, and with a desire to get back on track for the new permanent gaffer, it’s very hard to envisage anything but a home win but [1.4] certainly doesn’t look a fantastic price and the value sits in the side markets…"
Despite a 2-0 defeat away at Arsenal in the Premier League and elimination from the F.A Cup at the hands of Wolves the following week, Ole Gunnar Solskjaer was given a three-year contract at Old Trafford on March 28. Given Manchester United's fine run of form under the Norwegian, prior to those two defeats, few were surprised at the decision but the run of indifferent form appears to have continued since he signed on the dotted line. A far from convincing 2-1 home win against Watford, just three days after the appointment was made official, was followed by another 2-1 defeat to Wolves (this time in the Premier League) and the Red Devils failed to muster a single shot on target against Barcelona in the Champions League on Wednesday night, in a game they lost 1-0. That tie's not quite dead yet. United lost 2-0 at home to PSG in the round of 16 but won the away leg 3-1 to progress but they're [8.6] to qualify and I'm in no rush to back them. In all probability, a push for Champions League qualification next season is all that remains for United now and that's going to be a massive stretch too. The Red Devils are currently [3.8] in the Top 4 Finish market, where, with Manchester City and Liverpool clear, it's a case of perm any two from four. The market perceives Spurs and Chelsea the most likely to finish inside the top four ahead of Arsenal and United and with the Red Devils facing Everton away and both Manchester City and Chelsea at home in their next three games, this looks like a must win match for Solskjaer's side. In contrast to the hosts, West Ham have nothing much to play for now. Currently languishing in 11th place in the Premier League, the Hammers are all but safe from relegation but they're unlikely to climb any higher and manager, Manuel Pellegrini, will already be thinking ahead to next season. After a poor start to this campaign, which saw West Ham lose their first four games, the Hammers recovered their equilibrium and then went on a great little run in December, when they won five games in six, and a 1-0 win at home to Arsenal on Jan 12 looked to have secured their Premier League status but they've been largely poor since. Manchester United have a surprisingly ordinary recent record against West Ham - winning only two of their last eight encounters in the Premier League - and they lost the reverse fixture back in September 3-1. United did do the double over West Ham last season though, they've knocked them out of both cups recently, and they couldn't be playing them at a better time. Having gone on a run that saw the Hammers unbeaten in five on the road in the Premier League, they've now lost six of their last seven away games and it's hard to see them getting anything from this game. West Ham games don't produce an abundance of goals as a rule and away from home, matches involving the Hammers have seen three or more goals scored only 38% of the time this season. It's a very different kettle of fish at Old Trafford though, with 80% of Manchester United home games producing at least three goals scored - hence why Over 2 ½ in the Over/Under 2 ½ Goals market is trading at around [1.5]. West Ham are far from prolific and they haven't actually scored in four of their last five Premier League away games but given every team below them in the Premier League, except Palace (12th) and Cardiff (who haven't been to Old Trafford yet), has managed to find the net at Old Trafford, the chances are West Ham will too. If you fancy combining two or more scenarios to build a bet that pays handsomely, click on the Same Game Multi tab at the top of the Sportsbook market and pick two or more selections to build a wager. 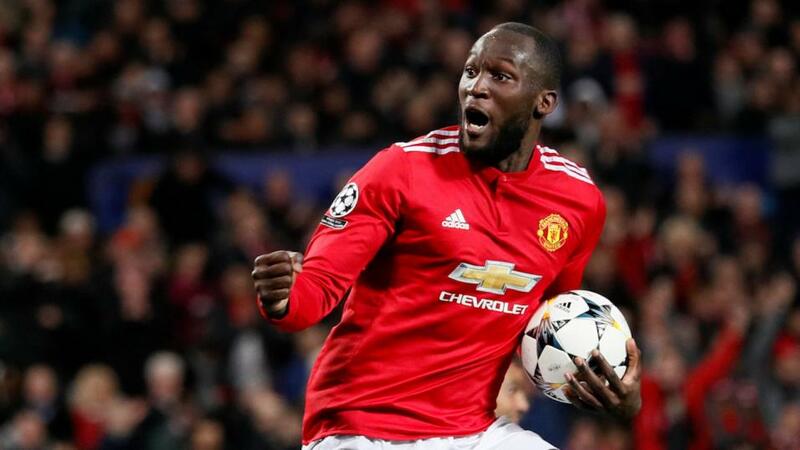 For example, both teams to score, Manchester United to win and Romelu Lukaku to score in his sixth Premier League home game in-a-row against the Hammers pays £3.63 for £1 stake.